We've heard a lot about Windows 8.1 Update 1, the first major update to the latest release of Windows, and so far we're expecting it to land sometime this spring. Now, according to ZDNET, it has been pushed to Microsoft's manufacturing partners. That means it's basically almost ready for public release, and is going through the final steps. Microsoft pushes its updates to manufacturing partners so that new computers and tablets that run the OS will be ready by the time the software is pushed to everyone. 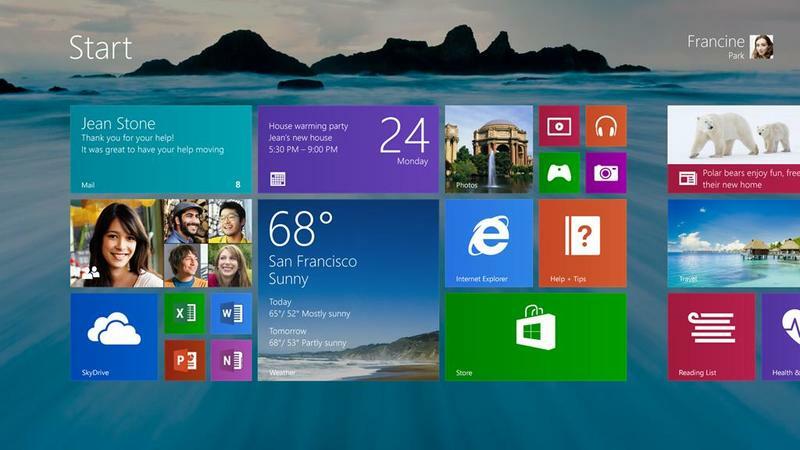 One of the biggest changes noted by ZDNET is that Windows 8.1 Update 1 doesn't require as much hardware power. It can run on just 1GB of RAM and on a machine with just 16GB of storage. That suggests we'll see even lower cost machines with the full build, as opposed to a more mobile-friendly and watered down RT version of Windows 8.1. Other changes include tweaks to the title bar, support for context menus with a right-click command and a new search button inside of the Start Screen, ZDNET said, also noting that boot to desktop will be an option on new computers without touchscreens. The public release is reportedly set for April 2, right around the time Microsoft will discuss Windows and Windows Phone during its BUILD developer conference. ZDNET said a new update is already in the works and could also land sometime in 2014.